Every winter, when lots of New Yorkers might be tempted to hibernate, NYC Restaurant Week arrives to keep the city's food scene buzzing. Offering prix fixe menus for a special price, this year the event runs from January 21 to February 8, and several Rock Center destinations are participating. See some of the options below, and be sure to reserve ahead. 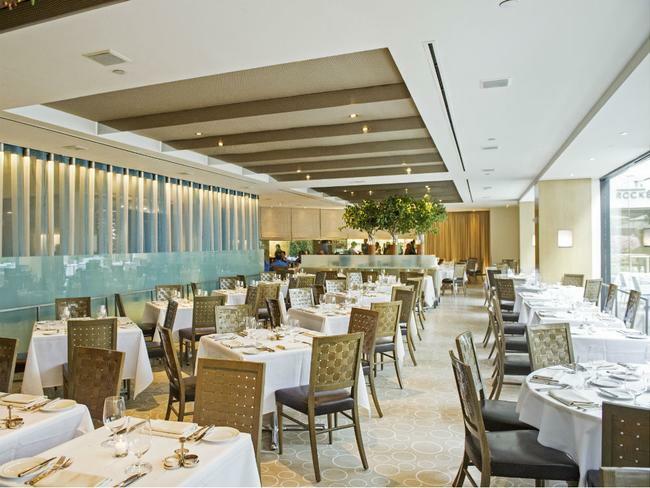 Rock Center Café is serving both a two-course lunch and three-course dinner for Restaurant Week. In the daytime, apps such as coriander-roasted beets and escarole, white bean and sausage soup are just right for the winter season, as are the mains: a smoked brisket sandwich, housemade fettuccine with pancetta and shaved Brussels sprouts, or skate wing a la plancha. Entrees at dinner include Berkshire pork tenderloin and roasted cod, and the meal wraps up with a slice of New York cheesecake or warm apple and ricotta bombolini with salted caramel sauce. Also facing the Rink, The Sea Grill (pictured) is serving a Restaurant Week menu for dinner only. Choose from the restaurant's signature chowder (with lobster, shrimp, clams and smoked bacon), roasted delicata squash salad, a Skuna Bay salmon sushi roll, marinated shrimp salad or a jumbo lump crab cake to start. Casco Bay cod, pink snapper a la plancha and surf and turf (with a New York strip steak and butter-poached shrimp) are some of the main courses, and for dessert, you can choose either a warm apple tart or dark chocolate ganache cake with cocoa nib ice cream. Another prime choice for seafood is Limani, known for its exceptional Mediterranean cooking. Dinner begins with lightly fried calamari, tomato salad or grilled vegetables, leading to organic Scottish salmon, a mild sea bream or lamb chops with Greek fries and vegetables. Finish with a traditional walnut cake with ice cream, seasonal fruit or the chef's selection of ice cream or sorbet. Finally, Brasserie Ruhlmann satisfies a winter appetite with its top-notch bistro fare for dinner. Following apps such as mushroom duxelles ravioli or winter squash risotto with rock shrimp, mains include free range chicken fricassee, gnocchi with braised short ribs and salmon with grilled endive. The evening concludes with winter fruits panna cotta or profiteroles with vanilla ice cream and chocolate sauce.